Like a fireball in the sky. 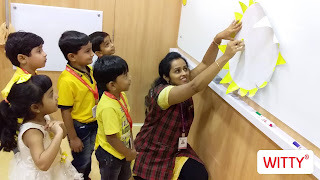 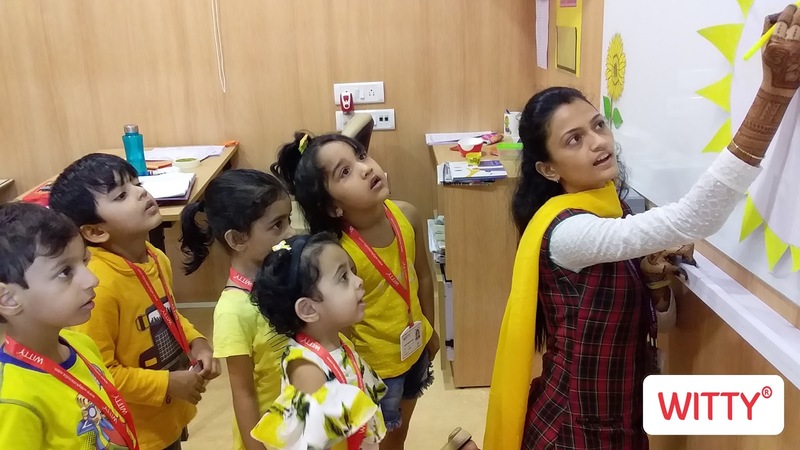 With an objective to recapitulate and reinforce the effects of yellow colour, the Jr KG students of Witty Kids Chikoowadi celebrated ‘Yellow day’ on 1st August, 2018. Students and teachers came dressed in different hues and tints of yellow. 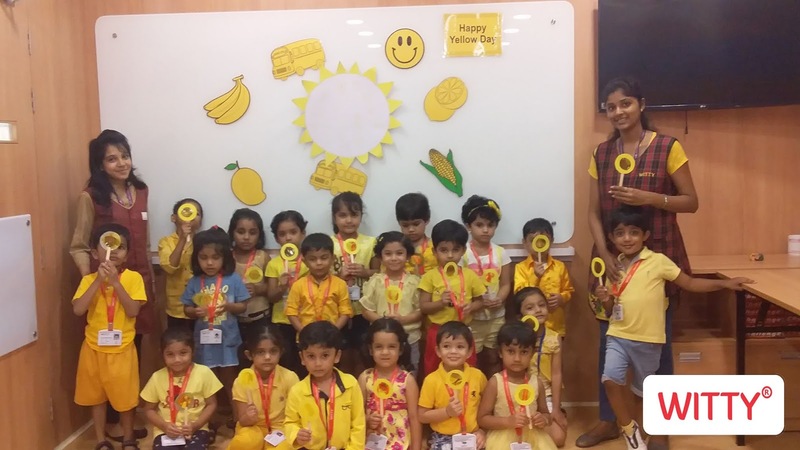 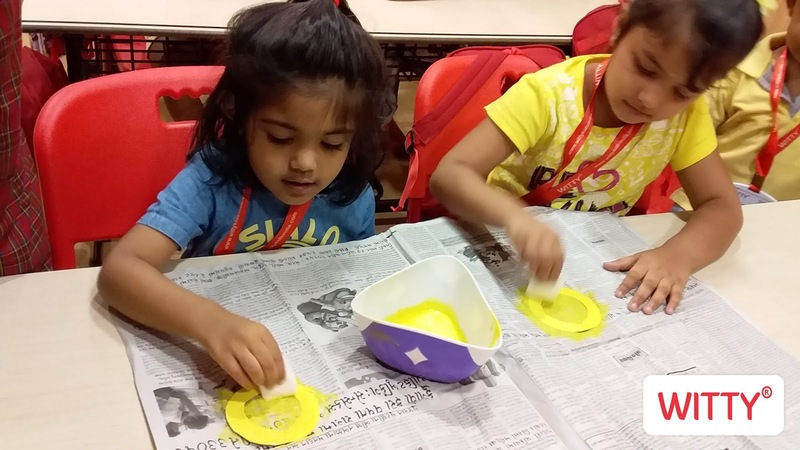 The class too was decorated with yellow colour objects. Focusing on the theme various art activities including drawing, colouring and paper craft were conducted. A yellow colour magnifying glass using cellophane paper was made to emphasis the colour. 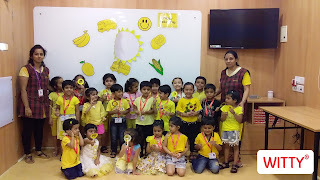 The celebration helped the children understand the significance of the yellow colour. 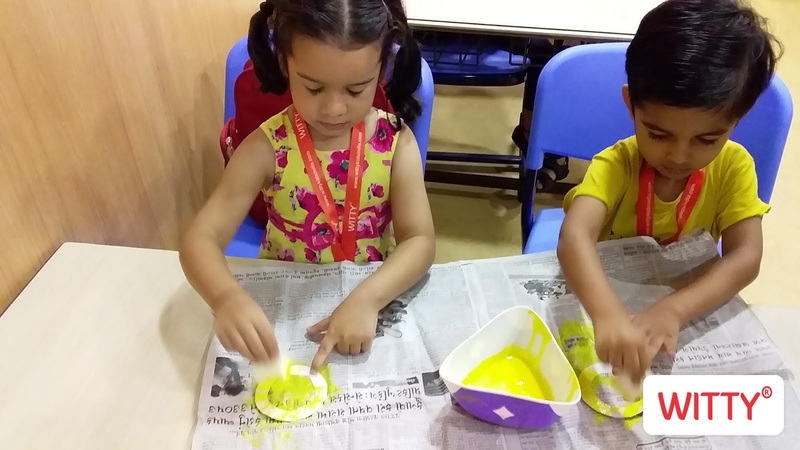 The activities aided to enhance the eye hand coordination and fine motor skills too. 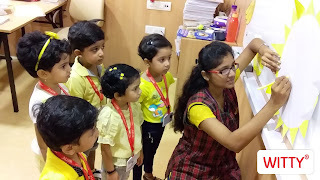 Students sang rhymes on yellow colour. 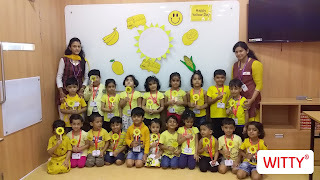 It was a lovely bright, and yellow day in school! 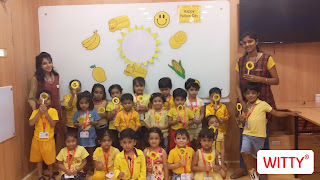 Beams of yellow shades carried the promise of a positive future flashing creative thoughts in the young minds.